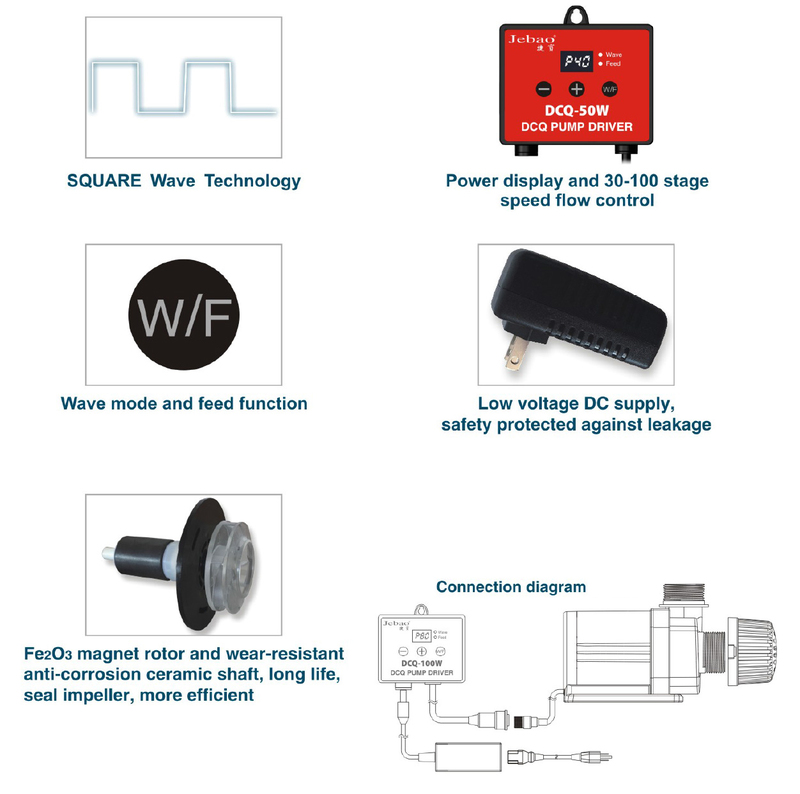 •External electronic driver, longer life. •Four-pole electronic motor, ultra silent. 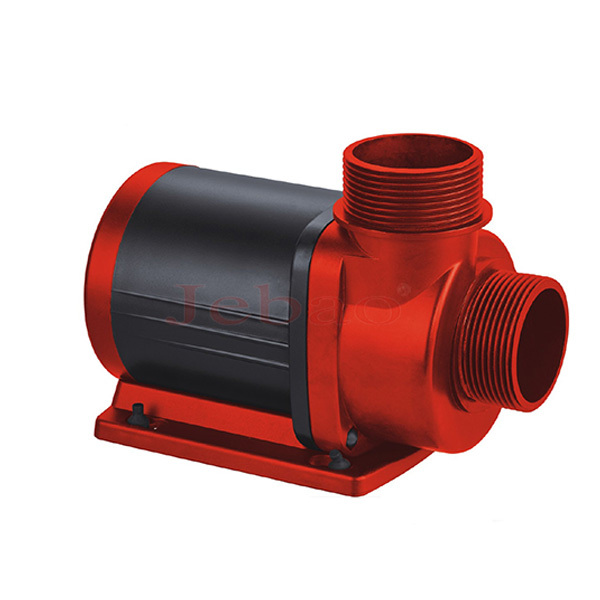 •No exposed cooper element, suitable for both marine and fresh water. 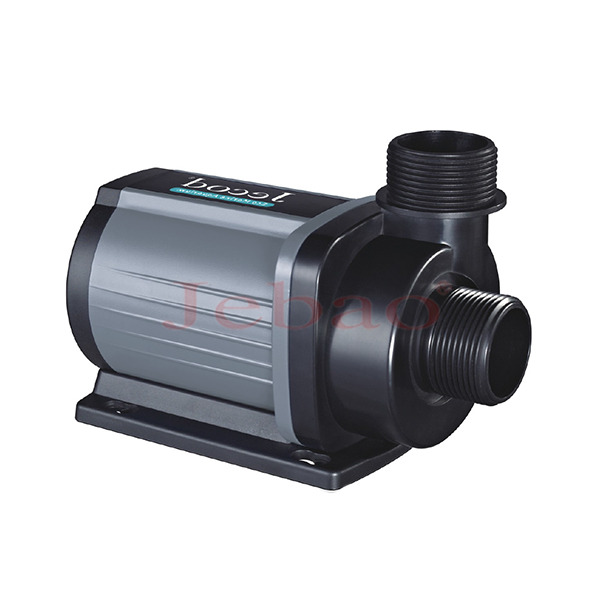 •IC electronic detection，dry / locked rotor protection, automatic power-off protection upon no water. •LCD power and speed display.